Nice peaceful location and very well equipped cabin for preparing and serving food. Good separate sauna. Der Vermieter hat zur Schlüsselübergabe am Haus auf uns gewartet und uns einiges erklärt. Holz für den Kaminofen und den Saunaofen stand unbegrenzt kostenlos zur Verfügung. Die Lage des Hauses ist absolut ungestört und wunderschön. Helt otroligt vacker plats. Sköna sängar, kvalité på inredning och köksinventarier. Unglaubliche, phantastische Lage in völliger Ruhe und Abgeschiedenheit. Hervorragende Betreuung durch Besitzer. Sehr gute Ausstattung an Gartenmöbeln (Teak) mit guten Auflagen. Webanbindung erstklassig. Wohnzimmer gemütlich mit toller Sicht. Phantastische Sonnenuntergänge. Tornevillan var mycket bekvämt och miljön var lugn och pittoresk. 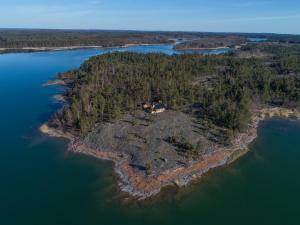 Vi besökte två närliggande medeltida stenkyrkor, Hammarland och Eckerö. Lyckligtvis var de öppna. Vi gillade allt, tyvärr två dagar var för lite! 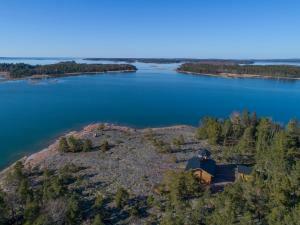 Erittäin kauniilla paikalla, hyvin varusteltu ja myös talviasuttava mökki/huvila. Locatie en uitzicht. Prachtig huis aan het eind van de wereld, maar midden tussen de scheren. Отличный новый коттедж. Шикарный вид из окон на море. Природа. Абсолютно вся бытовая техника и посуда. Хозяйка разрешила заселиться раньше и выехать позже абсолютно бесплатно. 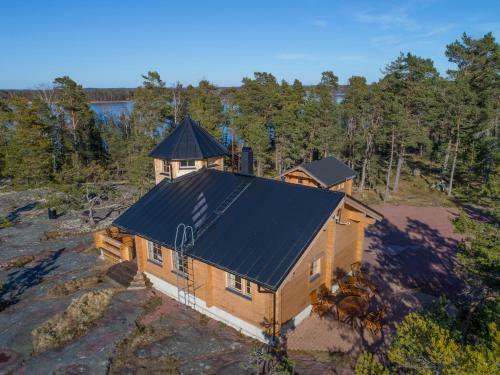 Lock in a great price for Harnäs Stugor – rated 9.8 by recent guests! 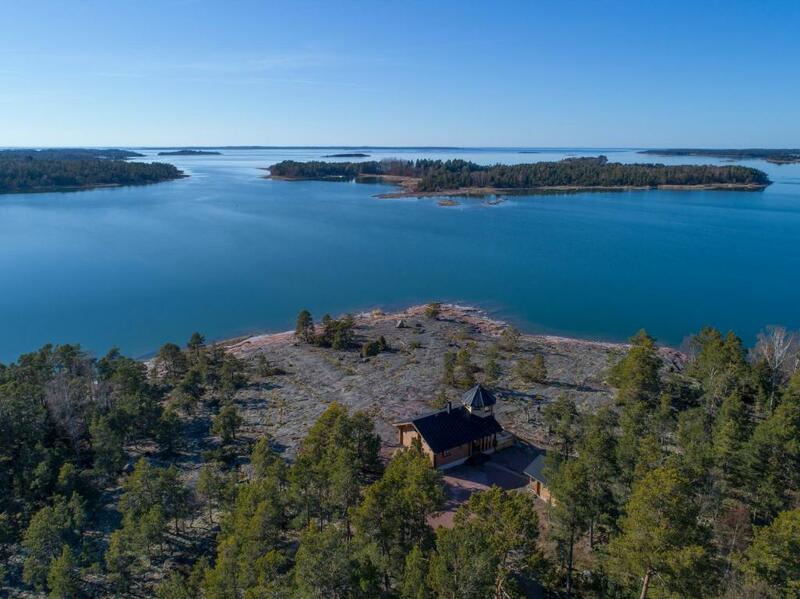 Harnäs Stugor This rating is a reflection of how the property compares to the industry standard when it comes to price, facilities and services available. It's based on a self-evaluation by the property. Use this rating to help choose your stay! 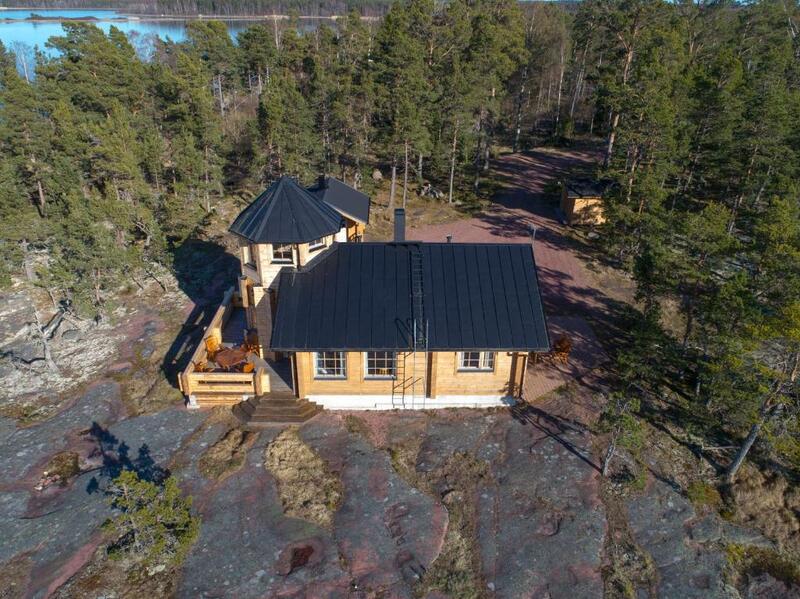 Harnäs Stugor is a self-catering accommodations located in Hammarland. FreeWiFi access is available. Accommodations will provide you with a TV, a patio and a terrace. There is a full kitchen with a dishwasher and a microwave. Private bathrooms also come with a shower. You can enjoy sea view and mountain view. 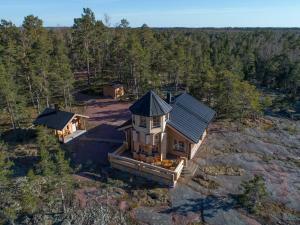 At Harnäs Stugor you will find a sauna. Activities in the surrounding area include fishing. The property offers free parking. 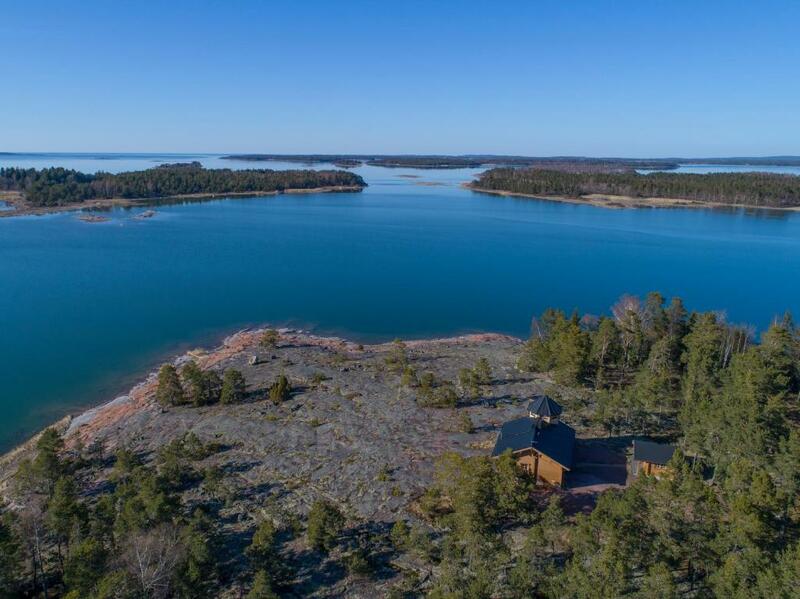 Mariehamn Airport is located 13 mi away. 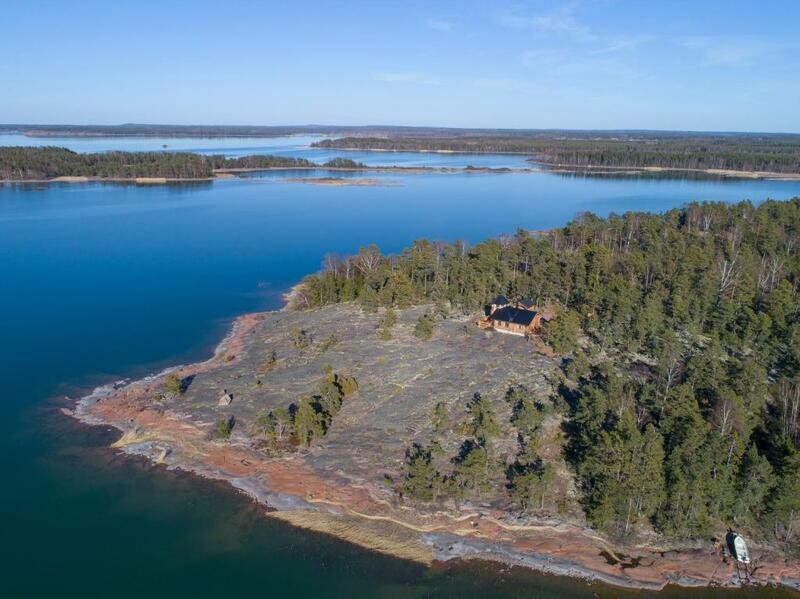 This property also has one of the top-rated locations in Hammarland! Guests are happier about it compared to other properties in the area. This property is also rated for the best value in Hammarland! Guests are getting more for their money when compared to other properties in this city. When would you like to stay at Harnäs Stugor? This villa has a kitchenware, microwave and dining area. This holiday home has a private entrance, toaster and barbecue. The Towervilla has a postcard view, Inside every detail is carefully made to make people feelgood. The host family Bergman have long experience of tourism and taking care of guests. We have highly respect for your time and vacation. We love to welcome both new and returning guests. We love gardening, nature and outdoor activities. The area is calm and quiet. People that stay at our Towervilla wants to have privacy. Here people can live close to nature and the sea. There are many returning guests that love the changes in nature all over the year. House Rules Harnäs Stugor takes special requests – add in the next step! After booking, you will receive payment instructions from Harnäs Stugor via email. Please inform Harnäs Stugor of your expected arrival time in advance. You can use the Special Requests box when booking, or contact the property directly using the contact details in your confirmation. Well - nothing is perfect. A swimming pier would be brilliant. Why? The rock is phantastic, but unfortunately it is very slippy to go into the sea. It is possible, but you must be careful. Not all guest are as tidy when leaving the house, as you would expect it. However it would be better to control this, then to trust them. No doubt about it: the house is sufficiently tidy! Talking about guests doing the cleanup themselves to save the money and then leaving e.g. coffee machines dirty and cupboards not totally cleaned. Excellent located in the middle of nowhere you find this wooden house with all necessary comfort you might need (or even more). The booking description is 100% precise. If you are in doubt about how all works: we arrived with the ferry at 12:30, after 45 min at the location, house was ready, keys in the door - welcome. Nevertheless Britta is available by phone and she has a short ride to come over for any question. If the sun shines, you have it all day. 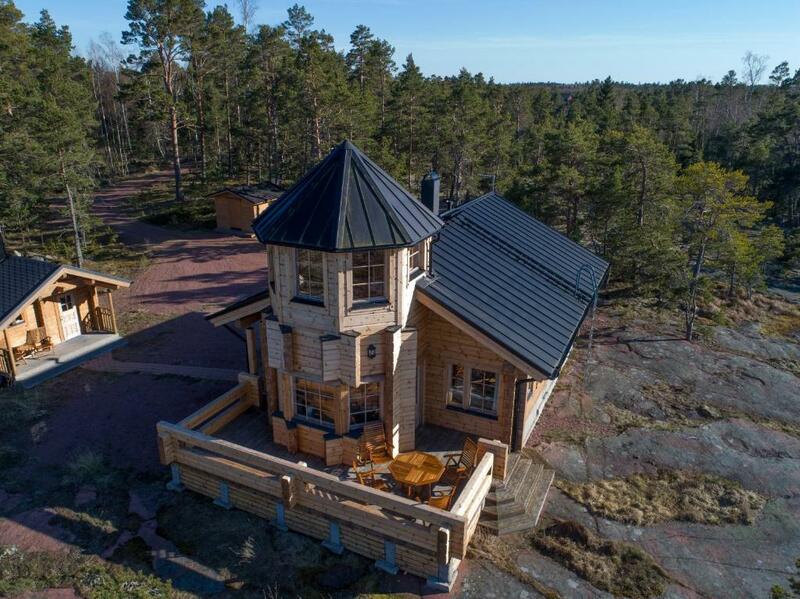 If it rains: wood enough available for the fireplace and the sauna. Normally you nearby nothing from the neighbours, who don't have a direct way (or path) to this house here. The tower is phantastic. The internet connection is very good, mobile availibilty is excellent, German TV at its best. The boat is available, even with the outbord engine, without big questions ("leave the money if you will have used it"), the fishing card is available. Nothing to worry. Excelent overview of sea-cards, guidance around in all langugages. One remark for guests with family or more persons: this house has six sleeping places but in fact not the space for six people (talking about wardrobes). The additional sleeping place is in an additional room in the sauna-house but with no own wardrobe. If these persons are children, it might work. The house itself offers plenty of space for six people. This house is a clear recommendation for everybody looking for silence, nature and time for himself. Thanks Britta.